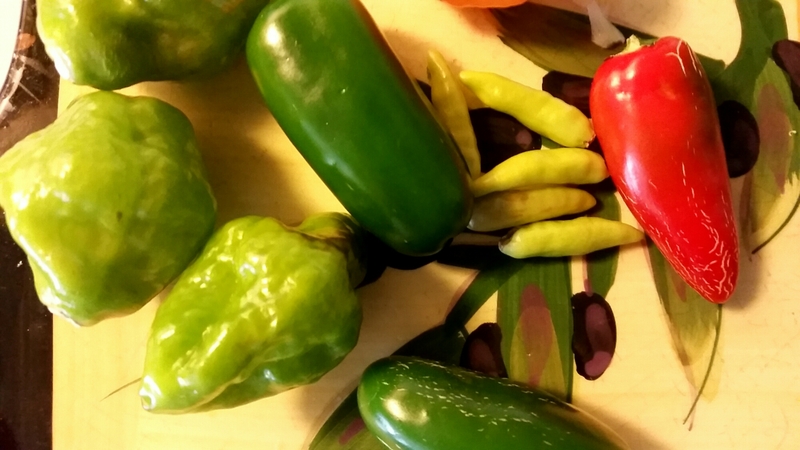 I got few handful of assorted peppers, grown at home from a friend. I knew how to use the basic chillies but was still confused how to consume the rest. I then decided to pickle these in vinegar. My husband love chillies in general and we do get it sometimes from the market, specially when we are having vegetables pita pocket!! In India, pickled shallots and radishes are very common, normally served in all Indian restaurants as complimentary accompaniment. My mother use to make these at home and add some chillies to get a nice flavor. I’ve used red wine vinegar but you can use anyone- red or white. 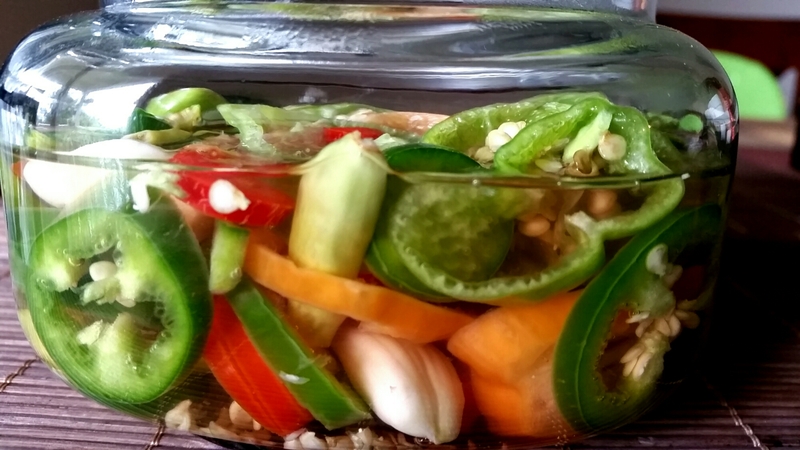 The tough part is actually the wait time – I refrigerated for nearly two weeks so that the peppers are nicely infused and you get nice aroma from the pickle. But yes, it’s worth the wait! ▪ Heat water and add red wine vinegar and salt. Allow it to come to boil and then remove from heat. Allow it to cool at room temperature. ▪ Wash and dry the chillies. 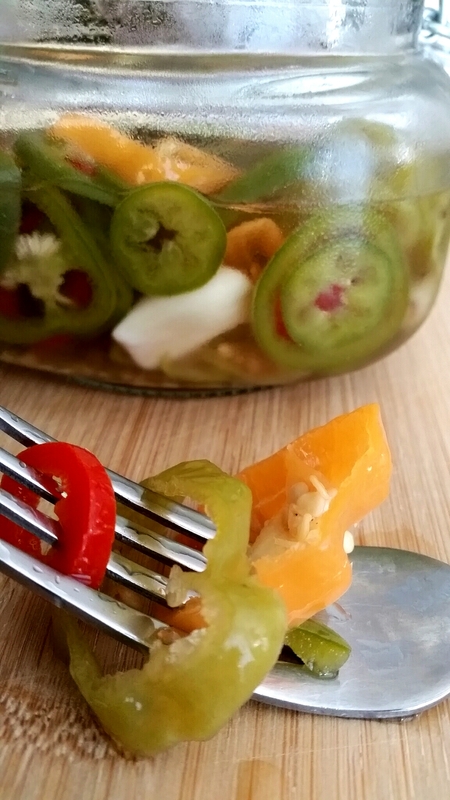 ▪ Thinly slice all chillies except tabasco. Slit the tabasco chillies. 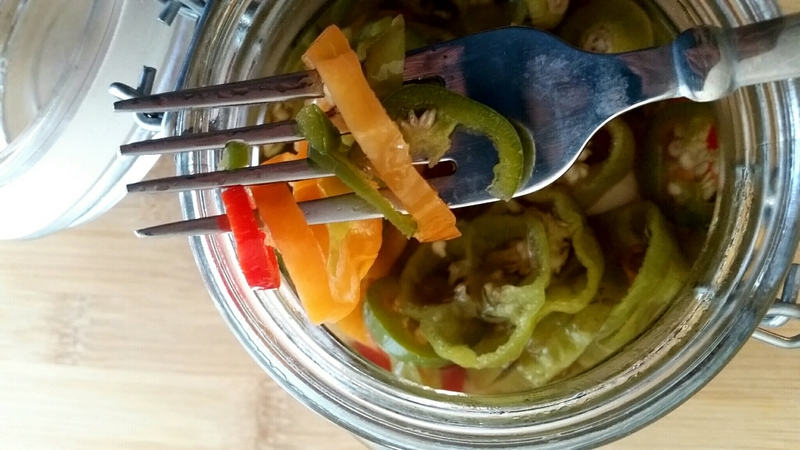 ▪ In a clean and dry glass gar/mason jar, transfer all the chillies and then add garlic pods. ▪ Cover over with red wine vinegar. ▪ Close and refrigerate for 10-15 days. ← Baked cottage cheese fritters!